The statistics of the global music market are very clear. The future of the music product use today appears to be the Streaming. Ready to go further, 50% of the source of the music market revenues, is definitely the preferred method of listening by the younger generation but also the most convenient and immediate, which requires no storage space or external media. What for many experts is the representation of a limit and a weakening of the market is probably now the only tool that is capable of allowing the past and the future to establish itself to the general public products. What for many experts is the representation of a limit and a weakening of the market, today is probably the only tool that is capable of allowing products of the past and the future to establish itself. A change ingrained that it can not be fought but that needs to be exploited and cultivated as a commercial opportunity. G7 Music has always focused on new and not contrary to the endogenous changes in the international music market, it is proposed to take up the challenge that emerges from the study of statistical data, and to transform this now leading technical opportunities for pop music in a possibility also for the cultural heritage of opera. Soon the site will release, in addition to its Beta version, a streaming subscription platform, which will allow its users to make use of the extensive catalog also listening online. A huge and important news for the world of opera and teaching, which still outlines more clearly the will of the G7 was not only a leader in the commercial market of Opera backing tracks, but to give a clear and important change in the Opera’s world that is not only commercial but also cultural. 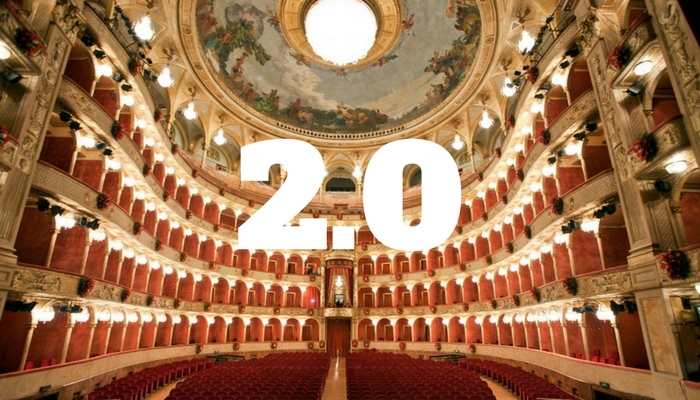 Bring the cultural heritage of opera also to future generations is a major challenge which must start from Italy, always supported by quality product, but with great attention to digital changes in the market.